Dislcosure: I am successfully doing exclusive pumping to feed my baby thanks to Medela who sent me a breast pump in exchange for my opinion. My blog contains only my honest opinions. 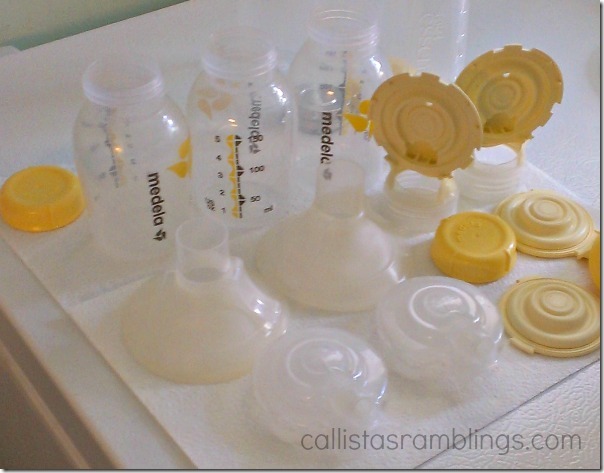 *If you don’t have time for a story, you can skip down to the heading that says Medela Freestyle Double Breastpump but I hope you will read it. I’m an exclusive pumper. When my fourth child, Aria was born, she had to go to the NICU for a short time because of low blood sugars and she had to have a bottle. I tried to nurse her still but was very stressed and she was very impatient. She was used to the bottle just pouring in her mouth and didn’t want to work at breastfeeding. 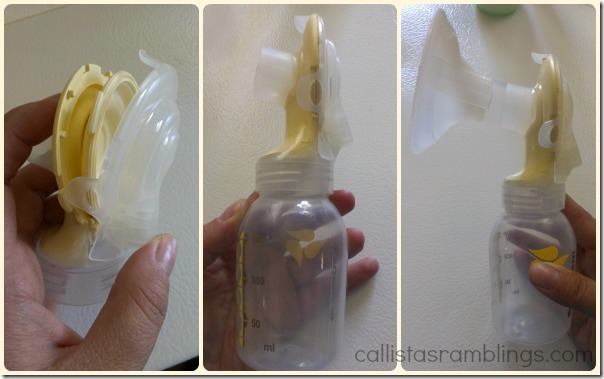 When I got home, I borrowed a breast pump from a friend even though it’s not recommended to use a used pump because I didn’t have one of my own and I needed to pump to keep up my supply and feed my baby breast milk by bottle. I didn’t know what I was doing at first so I pumped just enough to feed her which wasn’t much since she was a newborn. I thought I was doing well because I could get 4oz in 5 minutes but then I stopped pumping that session. I didn’t know I was doing it wrong, they hadn’t explained to me how to go about it. When the engorgement died down I went quickly to getting very little when pumping (because I was not pumping enough) and soon had to start supplementing with formula. At the newborn clinic check-up she was losing weight instead of gaining it but I was focused on getting her to nurse still. We were both stressed and I felt like all I was doing what something feeding related because I had to nurse, pump, feed and mix formula. By the time I did all that, it was time to do it again. After a few more clinic visits I figured out it was best if I stopped trying to get her to nurse for a while and just build up my supply. The idea was that if my supply was built up, it would flow faster and combined with Aria being older and bigger, she might be able to nurse easier. The only problem with this plan was that the pump I was borrowing was quite old and had lost its effectiveness. 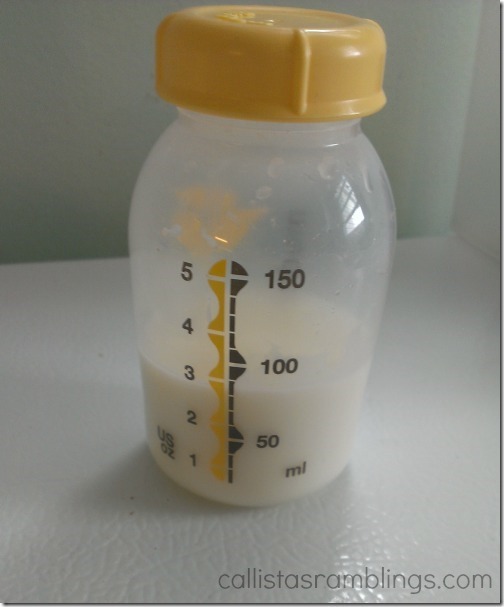 I wasn’t pumping enough to feed breast milk exclusively and I couldn’t find the time to pump more than 6 times a day which wasn’t helping to build up my supply at all. I needed a good, reliable pump. 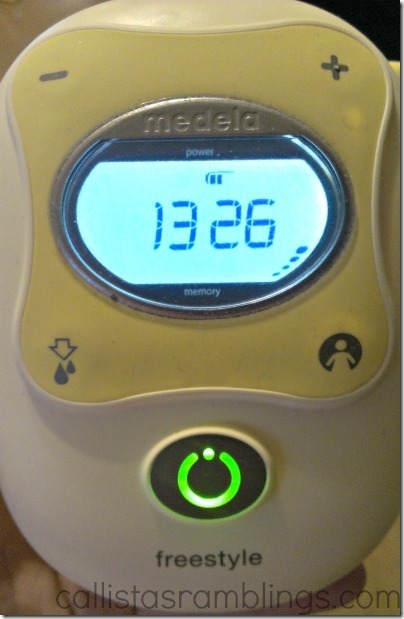 Enter Medela. I had admired the Medela Freestyle pump from the time I first saw it in the Today’s Parent magazine ad. Compared to the old fashioned pump I was using that was big, cumbersome and very noisy, this pump was supposed to be lightweight, quiet and designed for making pumping as easy as possible. 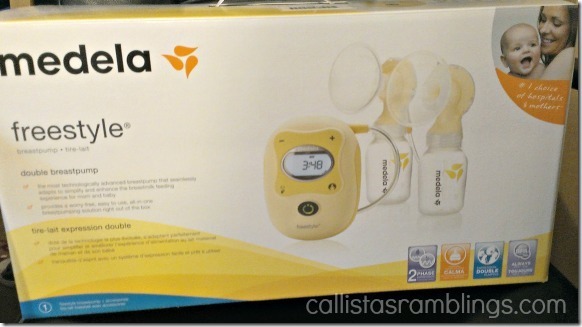 Medela sent me the Medela Freestyle to put to the test and see if it helped my situation. I was extremely excited as I had planned to share my exclusive pumping journey with my readers anyways but I was worried about losing my supply and not being able to provide my baby with breast milk. I have carpal tunnel which was aggravated by pregnancy so in the first few weeks after birth it was still extra bothersome. My hands would go numb holding the pump so I had devised a way to prop it up on a breastfeeding pillow as long as I kept my body in one exact spot. It only sort of worked because the pump was so big. I had heard of pump bras but it wouldn’t have worked with the old pump because of the way it was made and how big it was. So with the Medela, I was excited to try hands free pumping. It actually comes with a hands free kit which is designed to be used with a nursing bra. However I don’t own a nursing bra, never have. So I looked up how to make my own pump bra and created my own with a sports bra. Using that I am able to pump hands free and since the Medela pump can be charged for 3 hours of continuous use, I can use the pump anywhere, even if I’m not near a plug. This is perfect since my house doesn’t have a lot of open plugs. The Test – Can I UP My Supply? The Medela Freestyle says right in the instruction booklet that the pump is for keeping up a full supply and that if you need to establish a full supply, you should be using their hospital grade pumps. However since using the Freestyle, I have upped my supply and now have extra milk in the fridge and freezer. A proper pump really IS important for exclusive pumpers especially and anyone who is trying to build or keep a milk supply. I noticed a difference right away, the milk came sooner and for longer. Also since I was now able to go hands free, I was able to do something else while pumping which resulted in me pumping for longer as well because I was busy with other things instead of staring at the clock waiting for the minimum time to go by. With the built in timer on the pump, I don’t even need to watch the clock. The part above is actually about the size of my hand in real life and has a spot to plug in the charger on the bottom and the tubes that attach to the pieces that extract the breastmilk come out from the top right. There are 5 buttons total. The one that is glowing green in the picture is the on/off button. By default the pump does shallow but quick pumps at first to activate your let down reflex for up to 2 minutes before switching to deep/slow pumps to pull out the milk. If you get letdown before the 2 minute mark you hit the button on the bottom left (arrow and two droplets) to make it switch to the deep/slow pumps so you can get right to getting that milk. The bottom right button is a memory button which I’ve never used. The + and – buttons allow you to increase or decrease the pumping intensity to your comfort level. Thanks to the Medela pump, now I can get the above amount (in each breast) in less than 8 minutes. 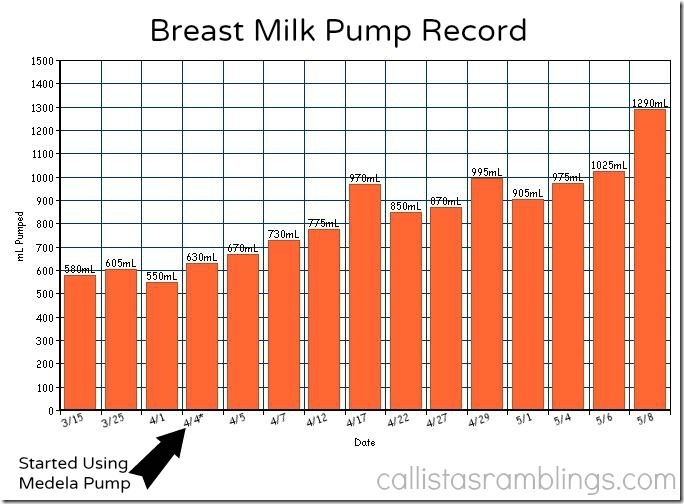 Often times I have to stop the pump to dump the milk into another bottle and then pump some more because I am pumping more than the bottles can hold in one 15-30 minute session. I have been shouting from the rooftops how much I love this pump and embarrassing some men in the process but I don’t care.